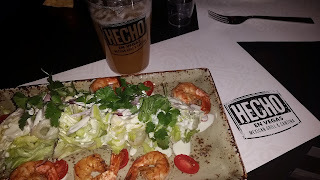 We started the evening with dinner at Hecho en Vegas which is right across from the MGM Grand Garden Arena. I had a shrimp salad with a cocktail called "Beer goggles". Ok, sounds funny, but tastes delicious! The best seats in the house!!! Thank you to USFG for allowing us the opportunity to see Nitro Circus Live! It was the most amazing, intense show I've ever seen. 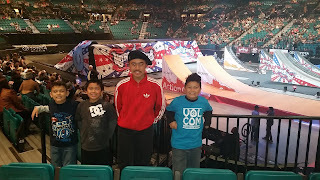 My son's and nephews enjoyed it so much. The energy of the crowd along with the stunts made for an enjoyable evening. 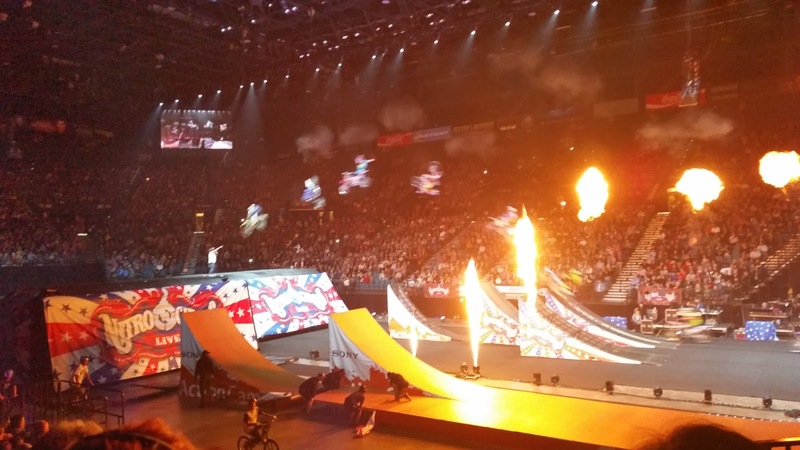 I have spent years watching Nitro Circus on TV but had never thought of watching it LIVE! I would have to say it was the best show I've seen in a long time! The fact that it was fairly kid friendly allowed my family and I to enjoy it together. Disclaimer: USFG had provided me with complimentary tickets to the show. All opinions are mine. This is by far one of the best places to hang with friends, have great drinks (amazing beer selection), eat some great food, including the great lunch I had at Chicago venues here. Prices are very reasonable and the pizza was awesome.